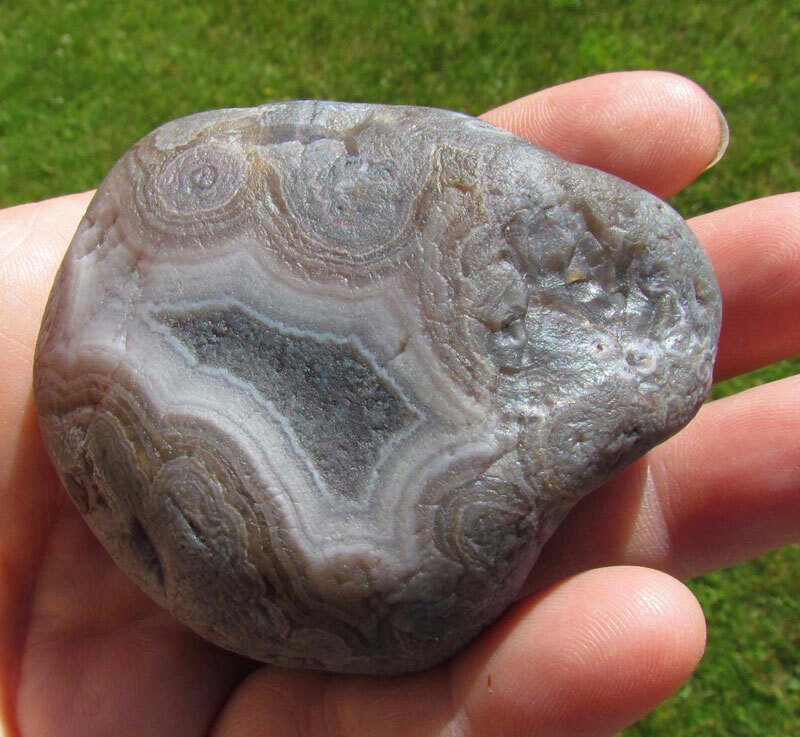 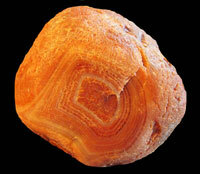 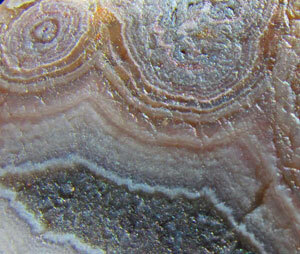 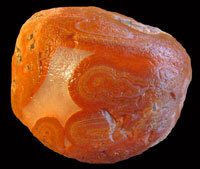 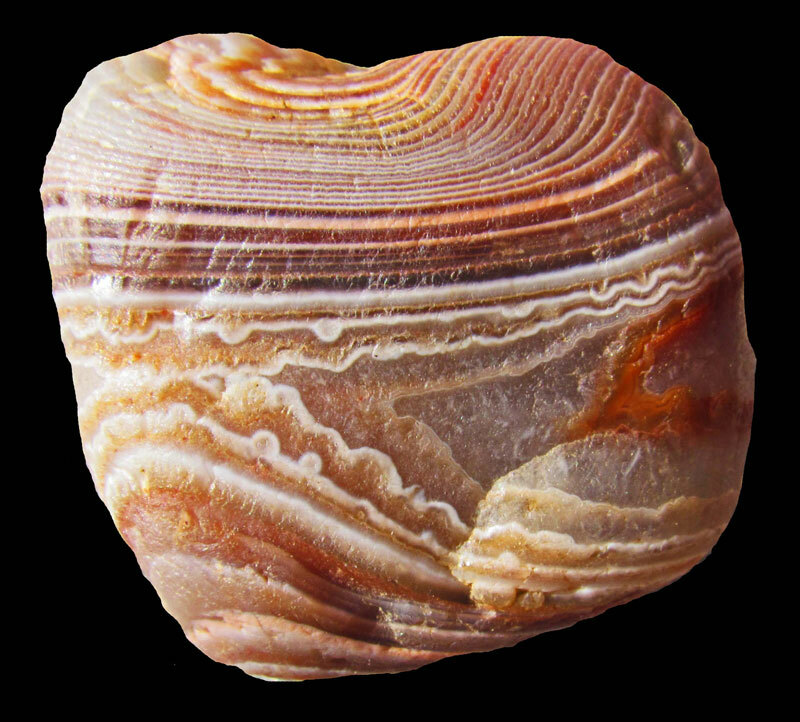 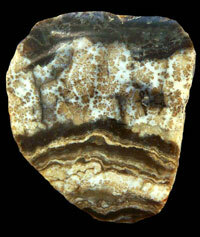 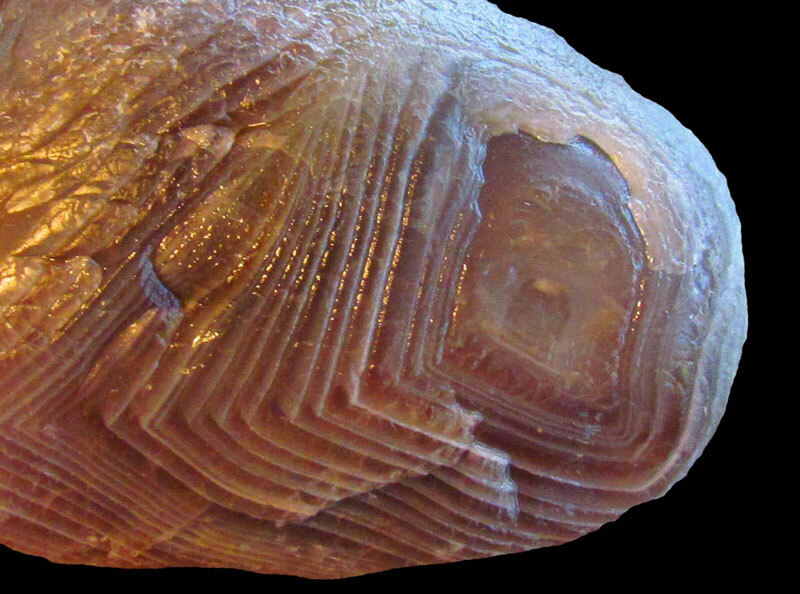 Let's start with some agates found by Brian Wolbrink from Allendale, MI. He has been agate hunting for several years, but lately has really turned it up a notch. 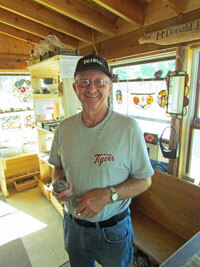 He purchased some used equipment from me last year and is compiling even more equipment. 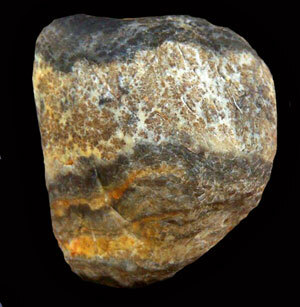 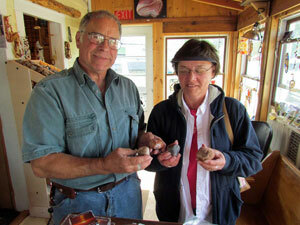 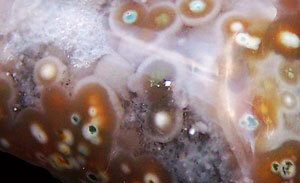 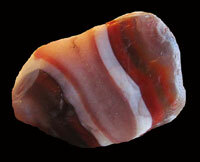 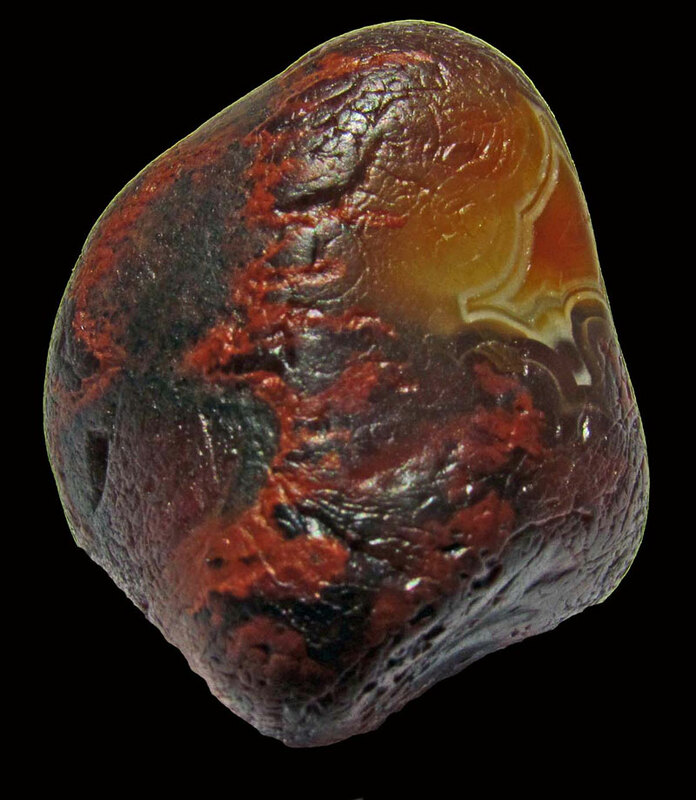 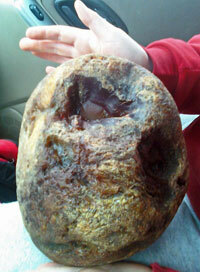 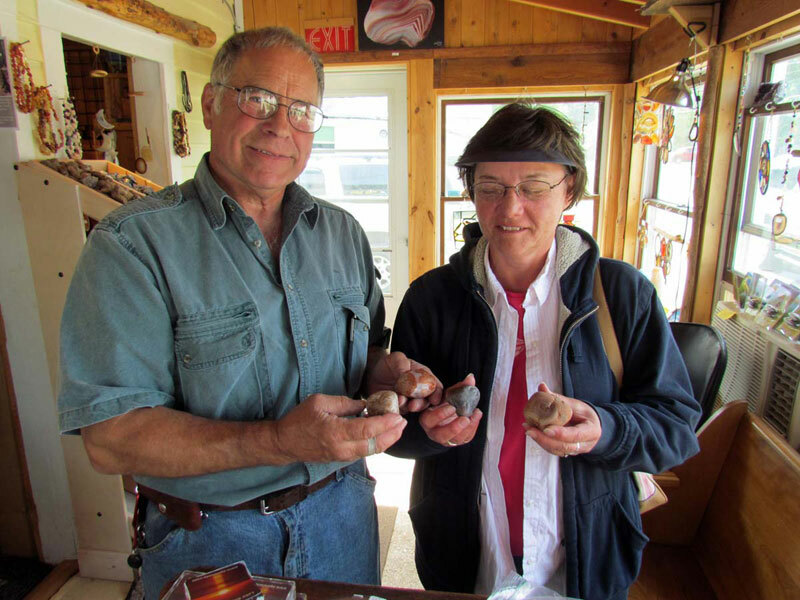 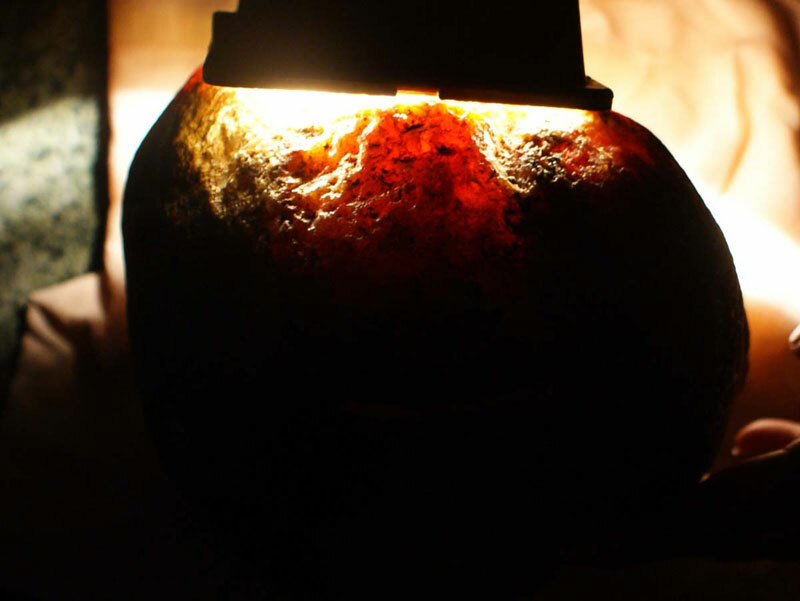 Some of the agates below are still in the rough, while others have been "dressed up." Brian's next agate is an unusual ruin again. 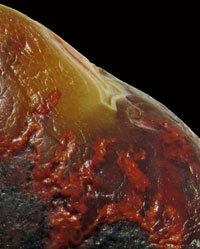 The horizontal streak through the specimen is a healed fracture. 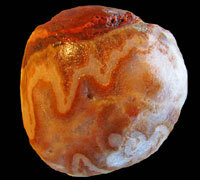 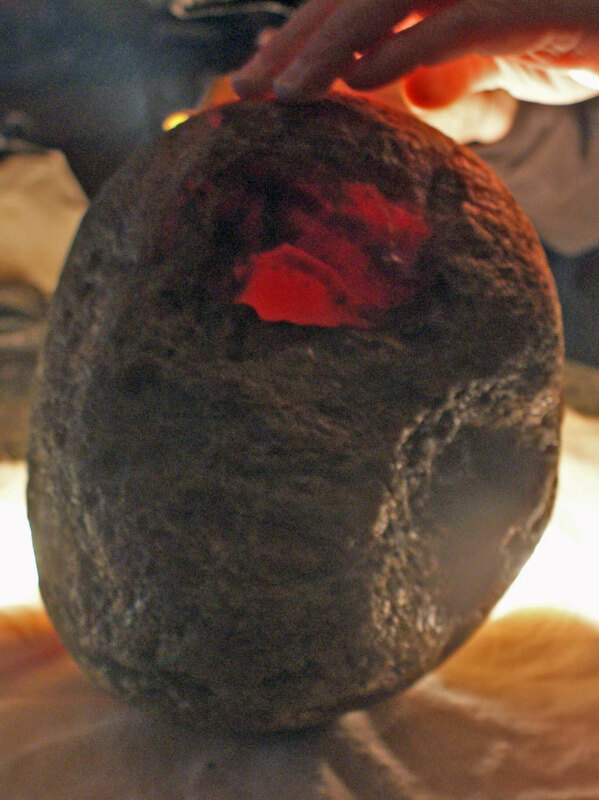 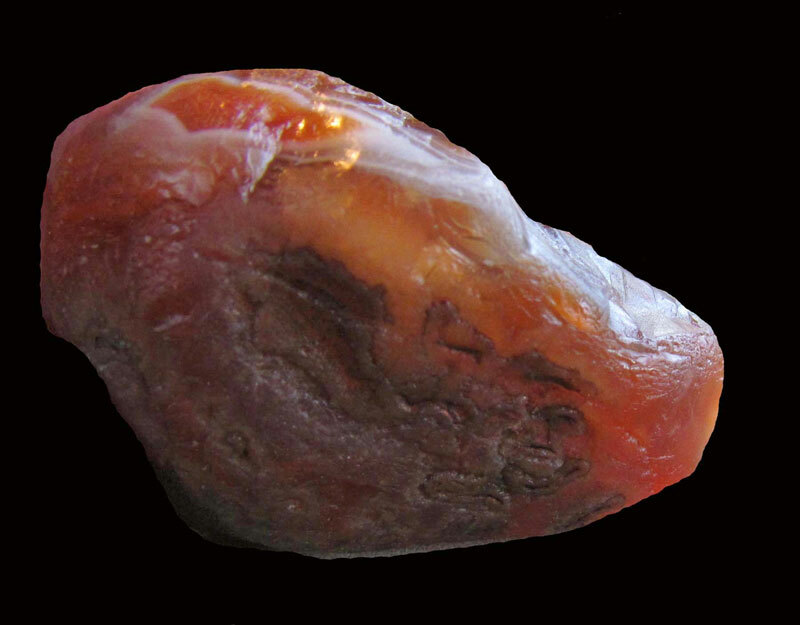 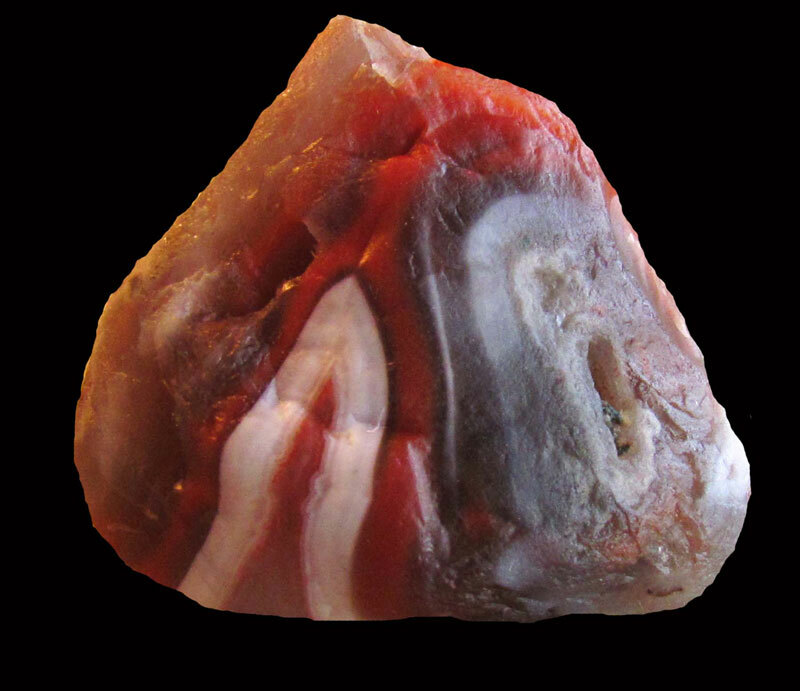 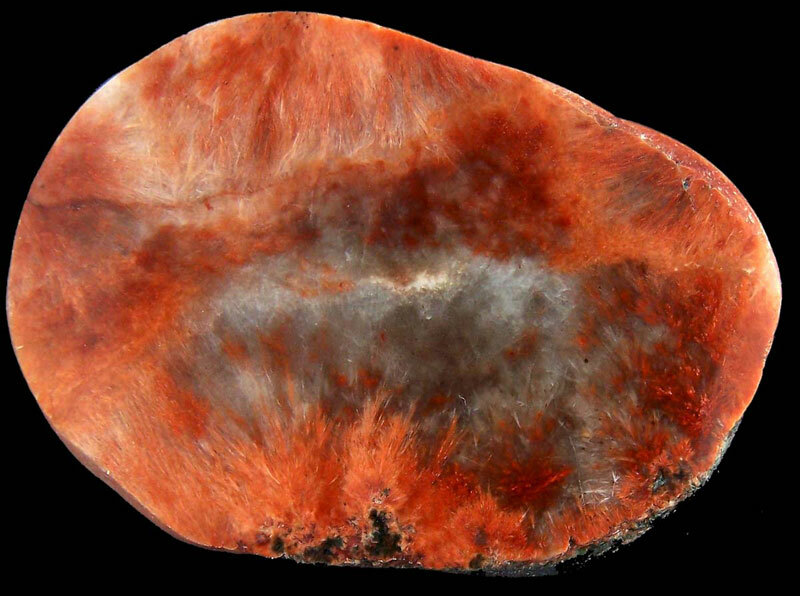 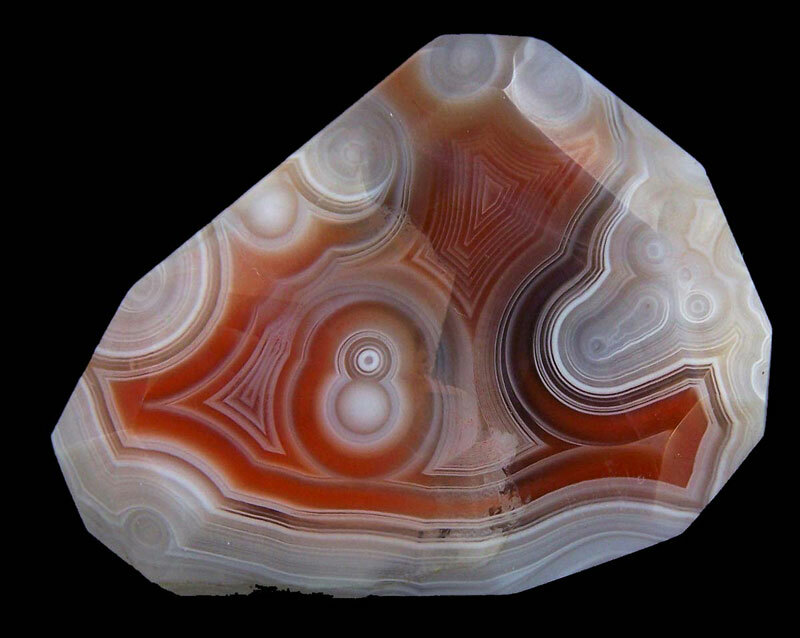 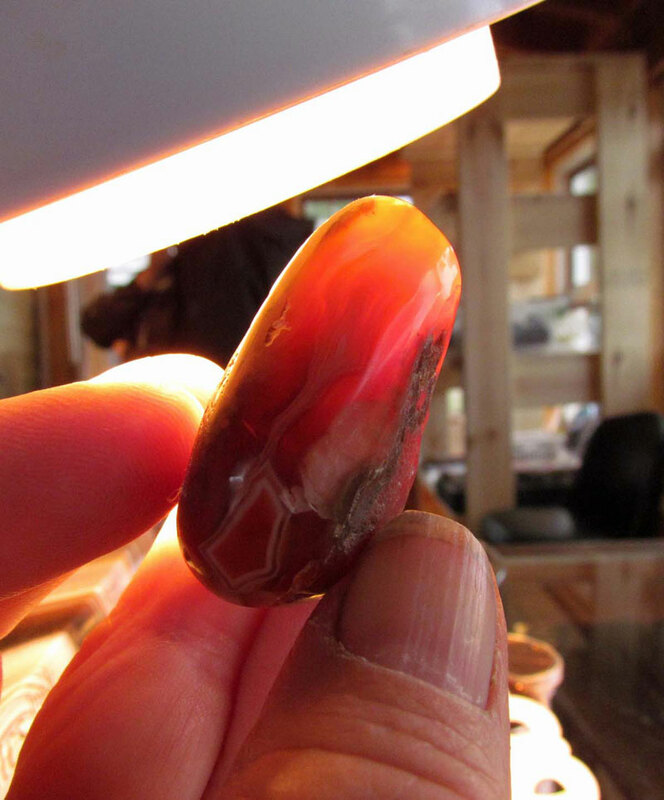 Brian's next agate is a very translucent carnelian agate. Brian's next agate is a cute candy striper. 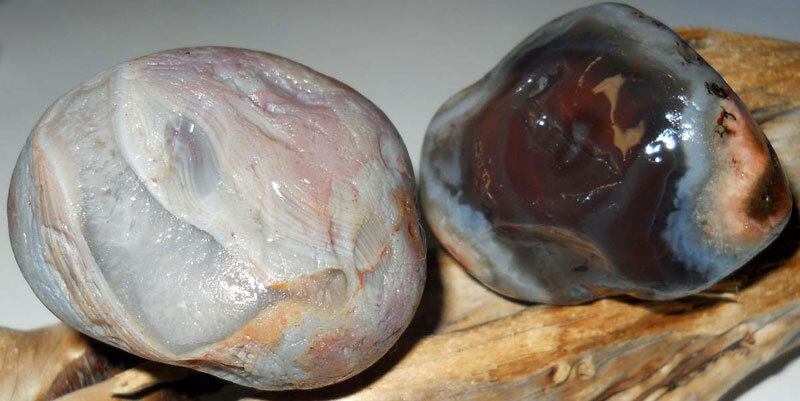 Here are a couple more of Brian's agates. 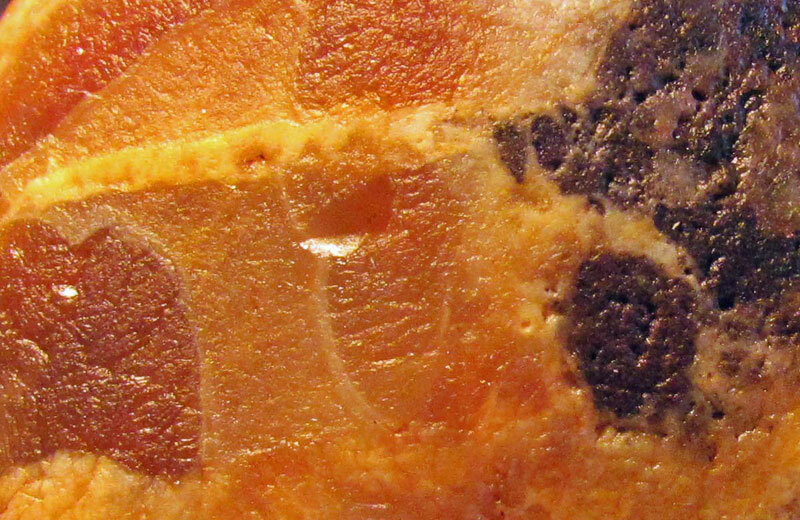 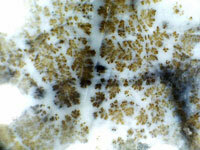 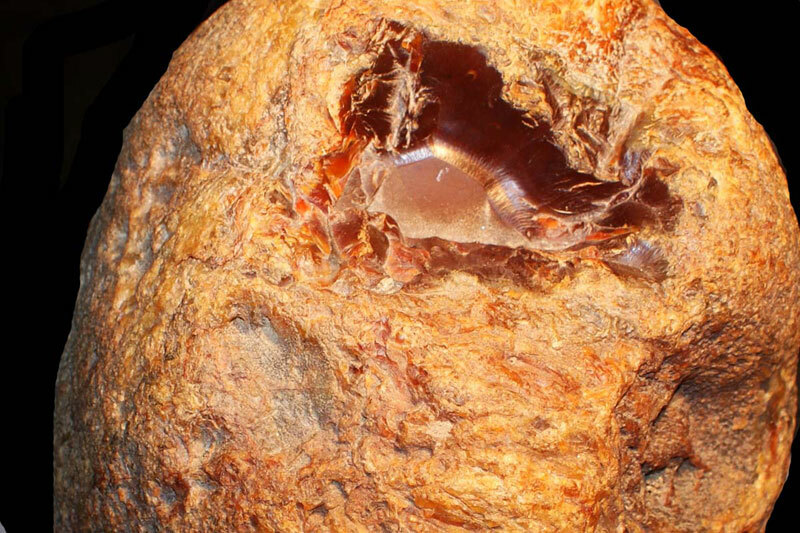 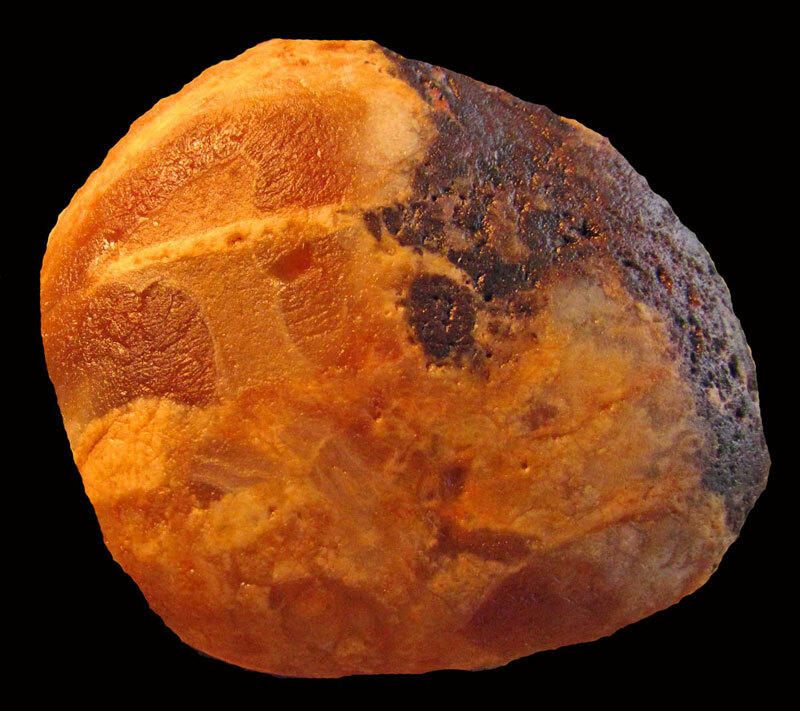 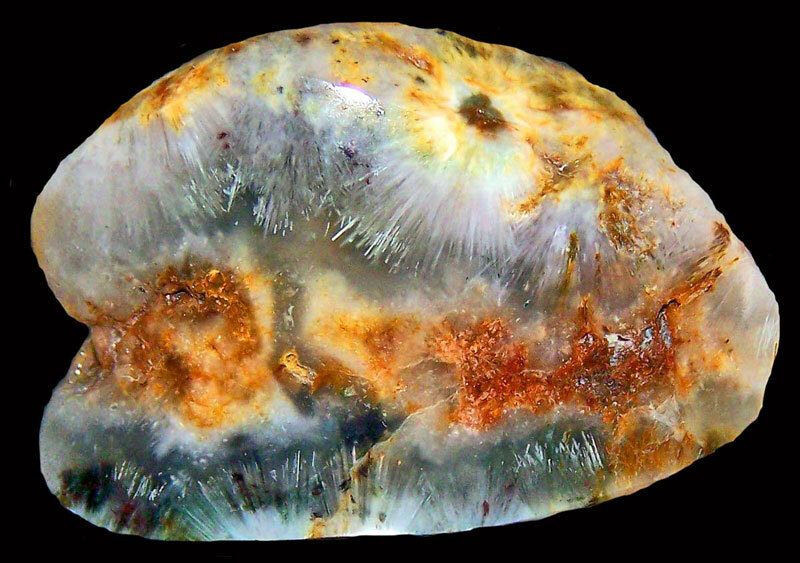 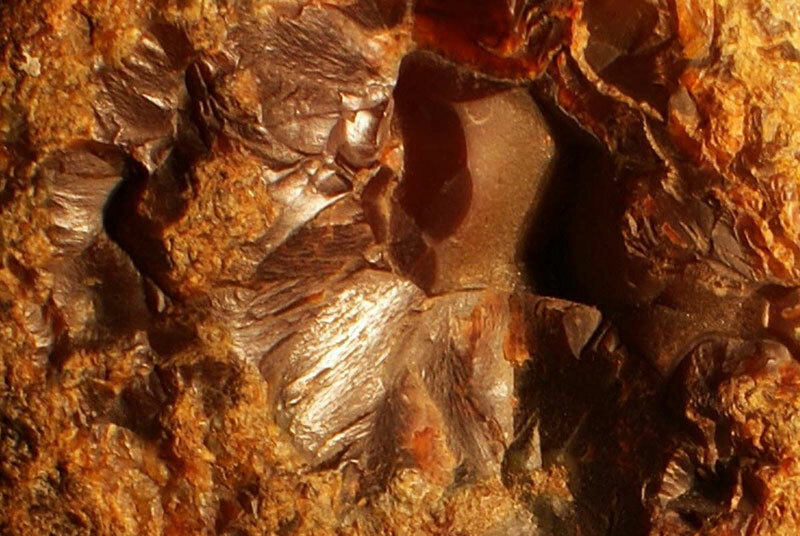 In the second photo below, notice the bright mineral inclusions near the top of the specimen.